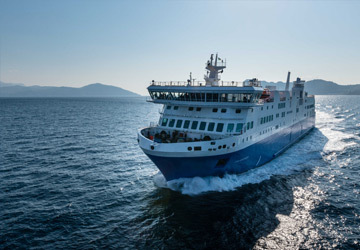 The Piraeus Heraklion ferry route connects Athens with Crete and is currently operated by 2 ferry companies. 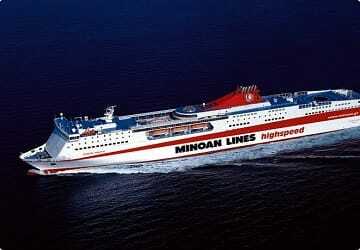 The Minoan Lines service runs up to 11 times per week with a sailing duration of around 7 hours while the Anek Superfast service runs up to 7 times per week with a duration from 9 hr. So that’s a combined 18 sailings on offer per week on the Piraeus Heraklion route between Athens and Crete. Compare now and get the best fare at the time that you want to travel. Prices shown represent the average one way price paid by our customers. The most common booking on the Piraeus Heraklion route is a car and 2 passengers. "Fantastic way to get to Crete"
We decided to book a luxury cabin as it wasn't any more expensive than flying from Athens in economy. What a treat. It was large and luxurious. Very comfortable bed, seating area and an ensuite bathroom. We ate in the restaurant, had a very good meal, which was well priced. A nightcap to round it off and we retired to our cabin. We slept right through the journey to Crete. Woke just as we were arriving. Had a shower and some breakfast and disembarked clean and well rested for a busy day of travelling. Amazing staff and vessel, to quality food and accommodation. Hello everybody! I am pleased to let everyone know that our vacation in Crete had a perfect start and a perfect end thanks to Minoan Lines. 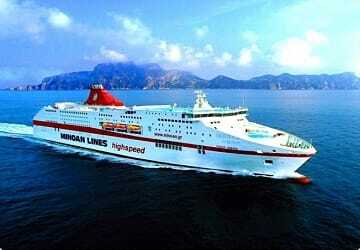 We crossed the Aegean sea back and forth smoothly, aboard a state of the art ship. Words cannot encompas the feeling aboard mighty Festos Palace. I strongly recommend anyone willing to go to Crete by means of water to use the services of Minoan Lines. 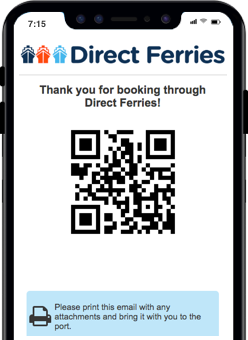 Also many thanks to Direct Ferries for providing us the reservation. Happy vacations to everyone! 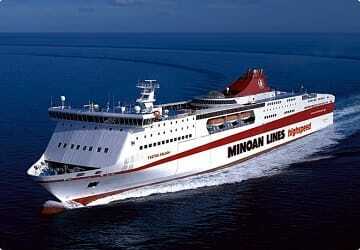 I'm glad to have chosen Minoan Shipping Lines.